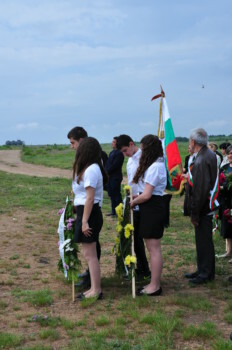 The students of MRSU had the good luck to visit the city of Shabla, Bulgaria on such a memorable and great day as May 9. The students paid tribute to the millions killed during the Second World War and laid flowers at the monument dedicated to the struggle against fascism and at the monument of military pilots, installed in honor of heroically killed in battle with Hitler’s invaders: Captain Menev Vladimir Nikolayevich, Senior Lieutenant Neverov Vyacheslav Leonidovich, Sergeant Voronin Mikhail Aleksandrovich and Junior Sergeant Avtononov Nikolai Alexandrovich. Under the monument are buried the bodies of two found heroes.  “GLORY AND ETERNAL MEMORY!”, – the sign says. Also students of MRSU and local students of the gymnasium in honor of strong friendship and memory of the victims planted flowers at the monument to the dead pilots. The students were given a package with the Bulgarian land to allay it on Russian soil. In the course of the day for students of our university, the chairman of the Council of the City of Shabla, Mrs. Yordanka Stoyeva, conducted an excursion around the city and neighborhood. 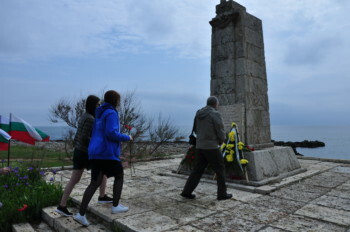 The group visited the oldest on the Bulgarian coast lighthouse of Shabla, the village of Tyulenevo with unique rocks; in addition, the students visited the City Park and Shablenskoe Lake.